Bali. Ahh, the very word conjures up exotic scenes, tropical gardens, amazing temples, beaches, swimming pools and a completely different culture. Yet, geographically Bali is only three and a half hours flying time from Perth, but because it is so different to everything Australian it feels a world away. It’s probably the most popular holiday destination for West Australians because it’s relatively inexpensive to get there, there are so many things to see and do in Bali and Five Star in Bali is within reach of the average pocket whereas Five Star in WA possibly isn’t. 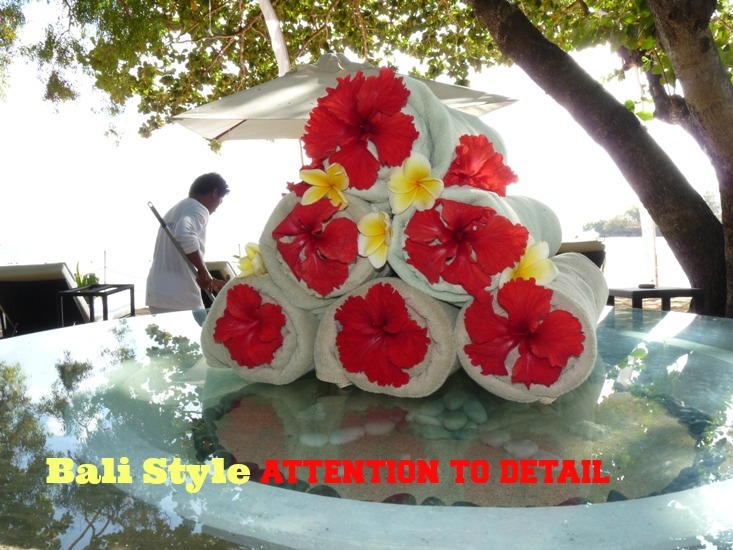 But attention to detail is present at all levels of accommodation and wherever you look, certainly not just confined to hotels or resorts. Why is Bali so alluring? 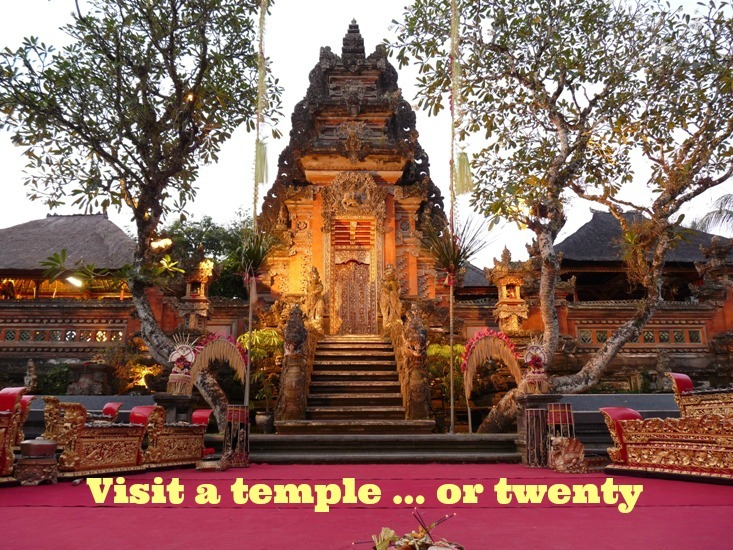 Have you been to Bali or why would you like to visit? Arguably one of the most beautiful islands in the world it’s steeped in a complex culture, and although it might in comparison be poor when judged by Western terms, it’s rich in art, spirituality and mythology. Magically though, Bali has a way of taking over your senses. Everything in Bali feels voluptuous; bigger and brighter. There’s a mysteriousness to the island, and of course it’s like a playground for holidaying visitors. 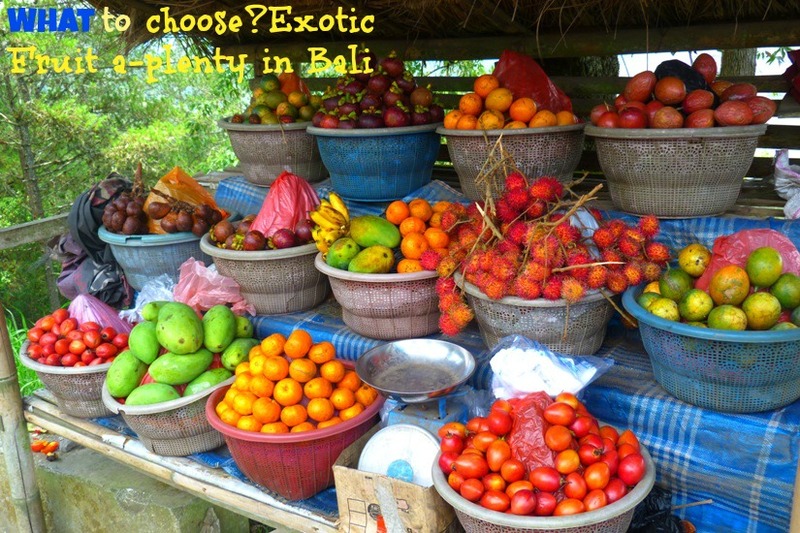 I think that Bali induces superlatives – it’s been called the split gate to heaven, paradise, and garden of Eden, and as you walk between waxy red and yellow flowers which hang like sculpted carvings from banana-type palm trees you begin to understand why. 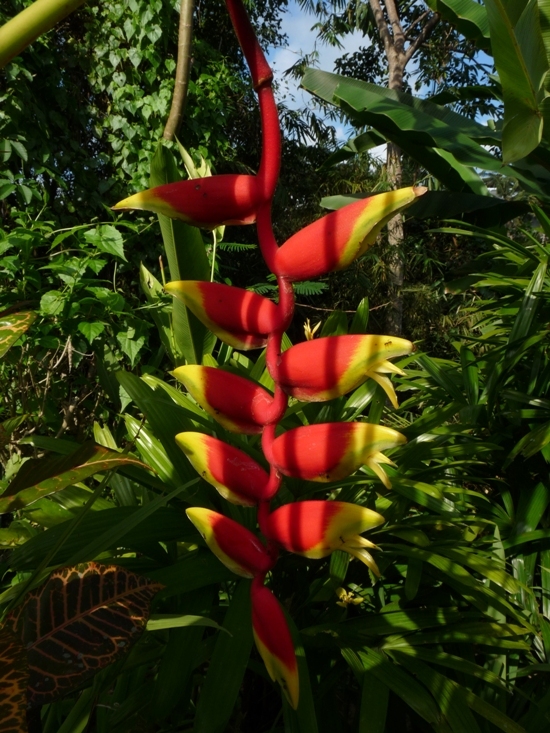 There are also lilies, big white affairs and smaller feathery ones, along with the ever present frangipani trees, their sweet, cloying scent hanging suggestively in the air, or behind my ears – you’ll be offered lots of flowers to decorate your hair with. There are several airlines that fly to Bali. We’ve flown with Garuda, Jetstar and Virgin and been happy with all three airlines. However, at the end of the day I generally juggle the cost of an airfare against my airline of choice. 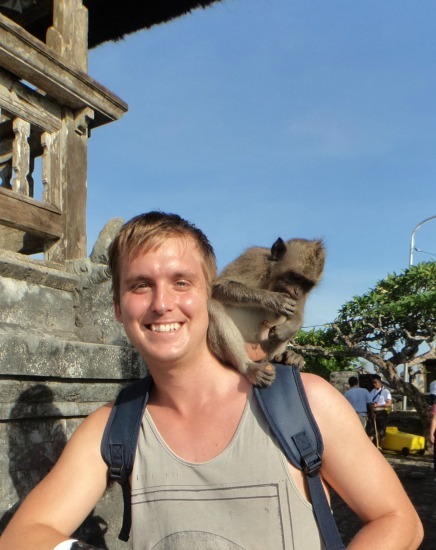 It’s an experience to walk around the monkey forest at Ubud. The monkeys are not, shall we say, timid, and will take any chance to steel something from you. Don’t feed them bananas and hold onto your handbags. They are incredibly funny and although this is a sacred place it’s hard not to laugh. Uluwatu Temple in Bali’s south-western Bukit peninsula has a wonderful backdrop of sea and sunsets – but with the addition of grey long-tailed macaques that inhabit the surrounding Uluwatu Monkey Forest. Pilgrims flock to the temple where the furry monkeys are ready to greet them with mischievous antics. Our bike ride one day included a visit to an Ashram where the silence was unignorable, save for our voices or the sonorous ring of the bell as we entered a temple area filled with a confusing array of Deities. Flowers, shrines, birdsong – and an all encompassing feeling, I can’t exactly describe, of perfect serenity….these were my abiding memories of this tranquil place high in the hills above Ubud. Yes, I did think about Elizabeth Gilbert and Eat, Pray, Love and wondered what it would be like to stay here for a few days to exist in silence. Spa treatments in Bali are much less expensive than in Australia and you get the right Royal treatment. 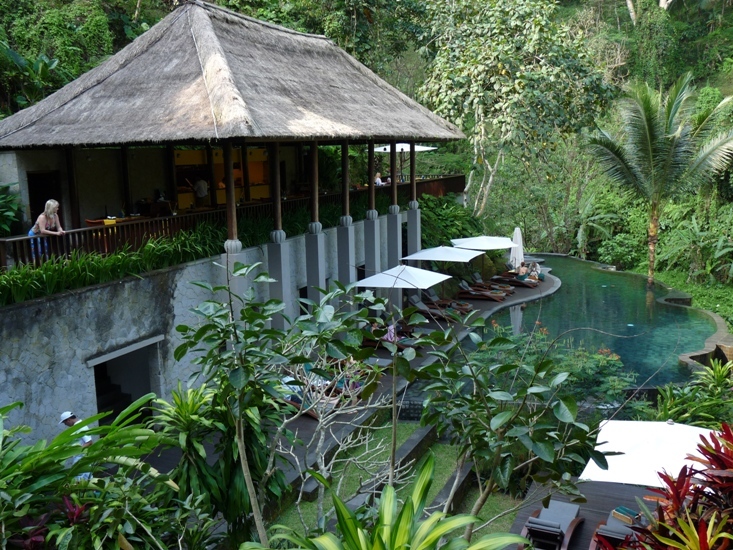 The Maya Ubud for example has thatched treatment pavilions dramatically cantilevered over the rapids of the Petanu River which carves its way through the secluded valley below. A canopied bathtub filled with bucketfuls of frangipani, the sweet smell of rose, orange or lime bath crystals, a healthy snack, fresh lemon juice, and the rushing sound of the river make for an experience which can best be described as heavenly. Balinese dancing is an integral part of religious ceremonies, intertwined with the island’s culture, and rooted in tradition and mythology. Typical dance costumes are ornate, bright, gaudy and bursting with colour, the girls often in vibrant shades of red, yellow, gold, and green. Hands, fingers, eyes and hip movements are imperative movements for the girls while the xylophones, drums, flute and gongs of the orchestra play a seductive, trance-inducing accompaniment. 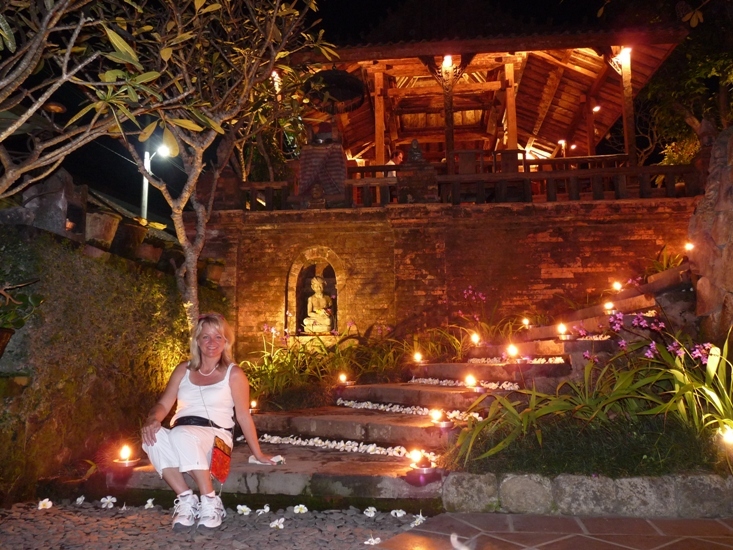 Night time in Bali can often feel like living in a fairytale. Oil lamps flicker, candles glow and frangipani flowers are scattered at random places in restaurants. Walking around Ubud you have to be careful to avoid potholes, and dodge the chaotic charge of scooters, trucks and the smaller wave of cars, but arriving at places like this Garden Restaurant below is all worth it. Rice is a symbol of Balinise life. It’s been cultivated in Bali for over a millennium. Ancient terraces are bordered by irrigation channels and flanked by swaying palms. On a hot dry winter’s day, along the roadside you may see rice being dried and de-husked. Rice is the staple diet of the people, and it’s offered daily to the gods, the spirits and the ancestors. You could say, Rice for Life and Rice for the afterlife. From my journal: “The morning is a scorcher. 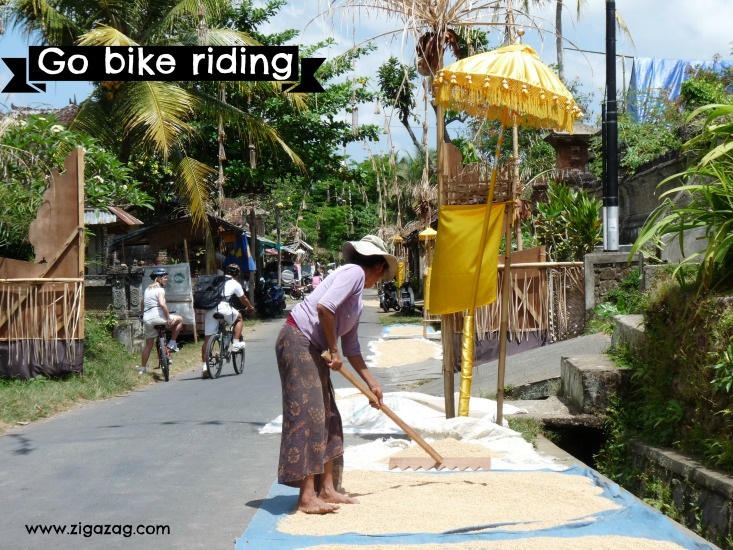 We set off on bikes along the hotel’s tranquil, winding driveway and onto the busier road towards Ubud. We turn off amid the clamour and bustle of shops, the chaos of scooters and trucks into a quiet side street which rises quite steeply into the hills above the town. Within minutes we are in a rural area, with the sweets smell of incense wafting on the breeze and children shouting, “Hello, where are you from?”. There are a couple of places you can ride elephants, but probably the Safari Park will give you the better experience. 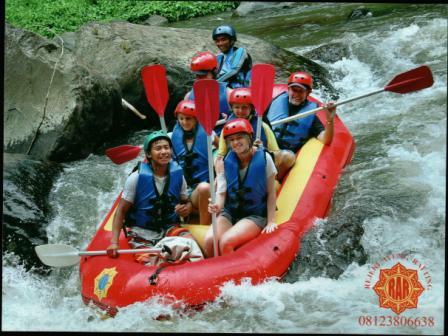 The ride we did below was part of our white water rafting day out – white water rafting + elephant ride + spa treatment. 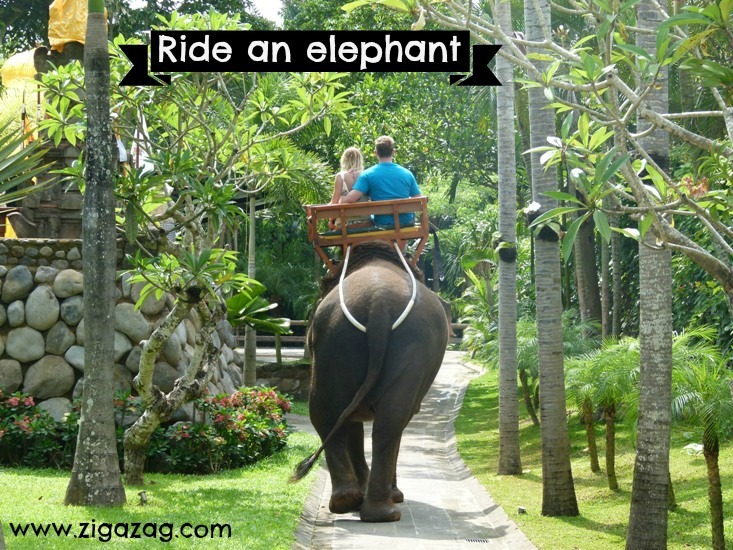 The Bali Elephant Safari Park of Desa Taro, is north of Ubud and offers visitors a chance to get up close and personal with these giants with a choice of experiences. I’ve been river rafting in Nepal on the Sun Kosi river and I thought Bali’s rivers would be tame. The rapids weren’t as big, but the thrills and spills were as much fun. Lots of companies offer river rafting – get recommendations when you’re there and go with a reputable set up. For the young at heart Bali can be an adrenalin fuelled adventure playground. Three more things you might like to try: Tubing, Scuba Diving, Quad Biking … as well as go for a ride with a monkey on a motorbike perhaps?!! There might not be much coral, but you’ll enjoy the fish. And with a bit of bread in your hand, you’ll induce a feeding frenzy of bright colour. It’s billed as the largest butterfly park in Asia, and the best time to go is early morning when the butterflies are more active. The park promotes the study, breeding, and preservation of over 300 species of butterflies found in Indonesia. 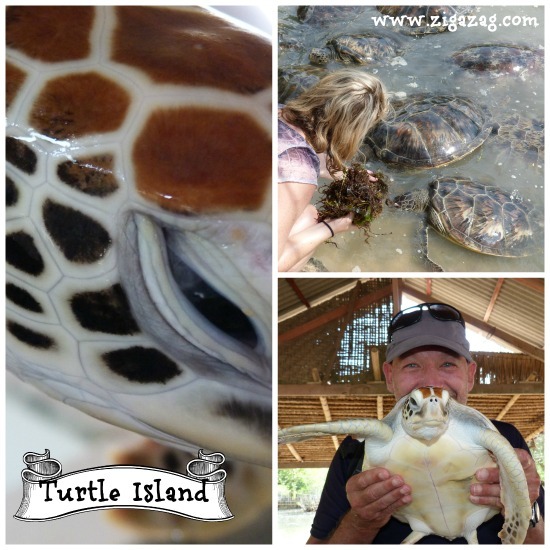 On an island near Kuta you’ll find a turtle sanctuary run by the World Wildlife Fund for the protection and breeding of sea turtles. If turtle eggs are found in dangerous places, they’re brought to the island. You can get close to huge turtles, the biggest are over 1 meter wide. You can hold the smaller turtles and feed the big ones. The center also has other animals such as birds and snakes, although this part of it felt just a little sad. There are so many places to enjoy a cocktail as the sun sets. 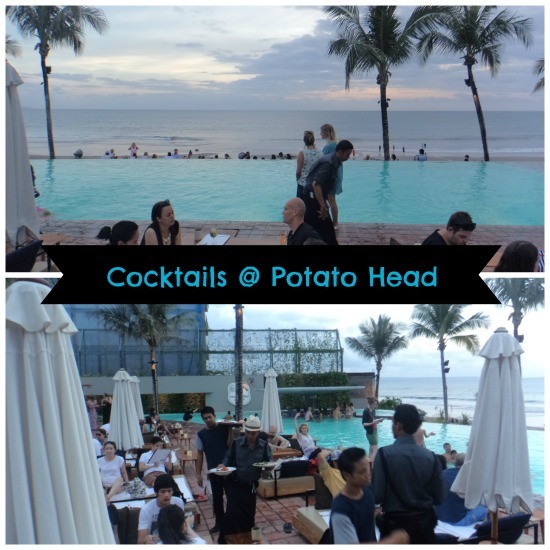 The young and fashionistas are likely to head to Potato Head in Seminyak, while the oldies amongst us may just wander to a quiet bar with a splendid sunset view. 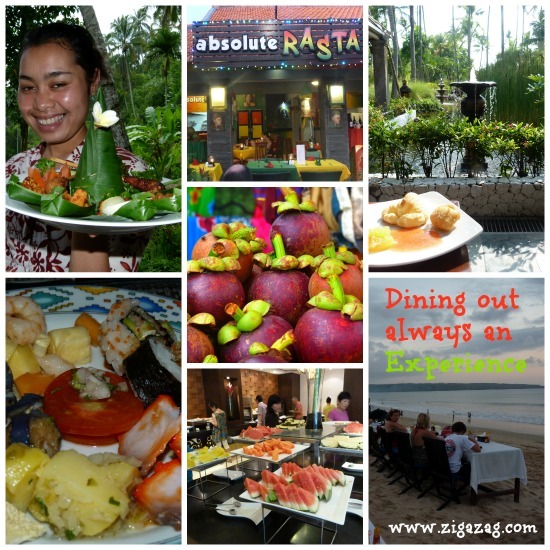 Dining out in Bali is an aesthetic adventure and taste sensation. 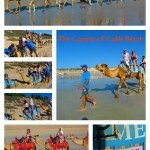 There is so much to choose from and it’s not expensive by Australian standards. The Batik factory was fascinating and watching the women at work made me appreciate the batik designs we so take for granted on all sorts of clothing and sarongs. The traditional Balinese house is situated in a walled compound and consists of various simple mostly open-sided buildings in a garden setting, almost medieval. Apparently about 72% of the population is probably living in the traditional way. Feng Shui is an important element in the compound design where, for instance, front entrances shouldn’t face each other so the evil spirits are rebounded. What struck me was, though it’s fairly primitive, it’s reasonably safe and the spirit of community is ever present – people sleep undercover but outside, there’s land for growing food or raising animals, which means basic food is reasonably plentiful. Made’s house is accessed through an ancient looking stone archway or Ankur. Living areas are separate, there is a living area, temple area, ceremony area and separate bedrooms with animals wandering in the back yard. The kitchen is a fairly primitive place without a fridge, and there is wood stacked above an open fire’d stove ready to be used. Bedrooms may be simple side-less structures with high wooden beds. The temple area will be housed separately and there will be a simple building used for ceremonies such as weddings. In the yard there are likely to be pigs, chickens and other animals and possibly fruit trees. In the outer yard, near the pig stye is another shrine, this one to appease the spirits of the river. The Balinese people are superstitious and animism is part of their ritual. In the Kuta markets we kept unwittingly crunching the offerings placed on the ground outside the market stalls, put there to ward off the evil spirits. The evil spirits it seems are generally to be found at ground level. 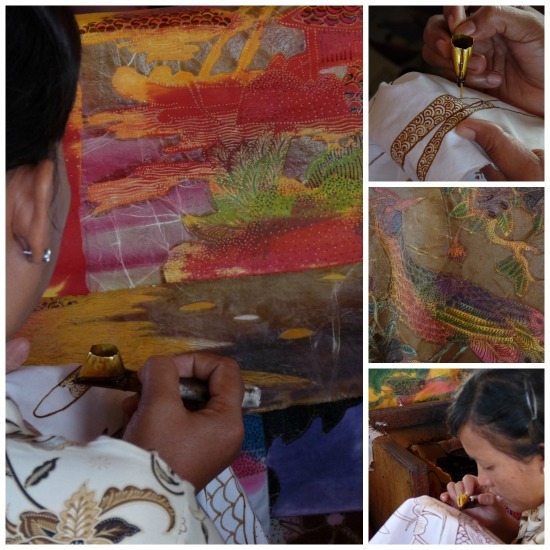 The mountain village of Ubud is famous for its artists and its pristine setting. It’s touted at the cultural centre of Bali and rice paddies and picturesque hillsides surround the increasingly busy town which is home to palaces, temples and art galleries. But it’s the galleries that are the pull for us. 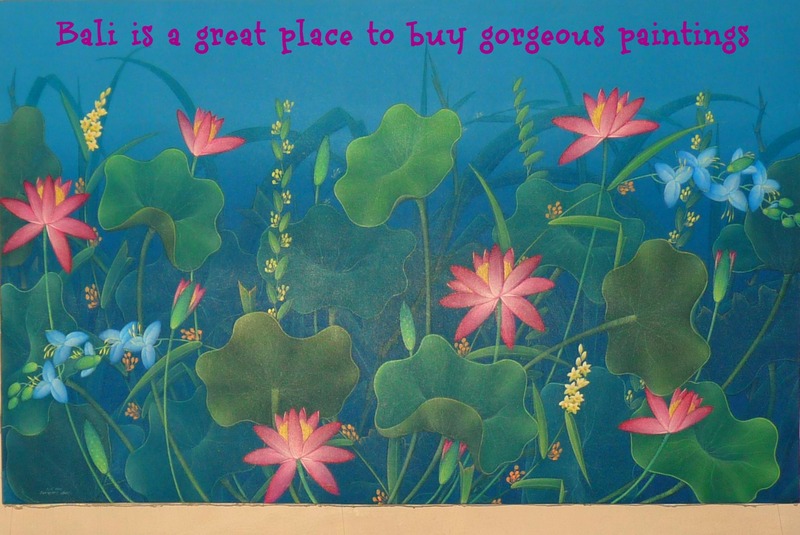 We’ve bought several Balinese paintings over the years, and they are exquisite, often colourful and not expensive in the general scheme of things. There are lots of opportunities to get out and go bird watching. We loved the Egrets. Snow white egrets in a sea of lime green rice stalks in green paddy fields were a sight to treasure. We were lucky to be able to enjoy a seafood dinner right n the beach watching the sun set and the moon rise amidst a sea of candles and smiling people. 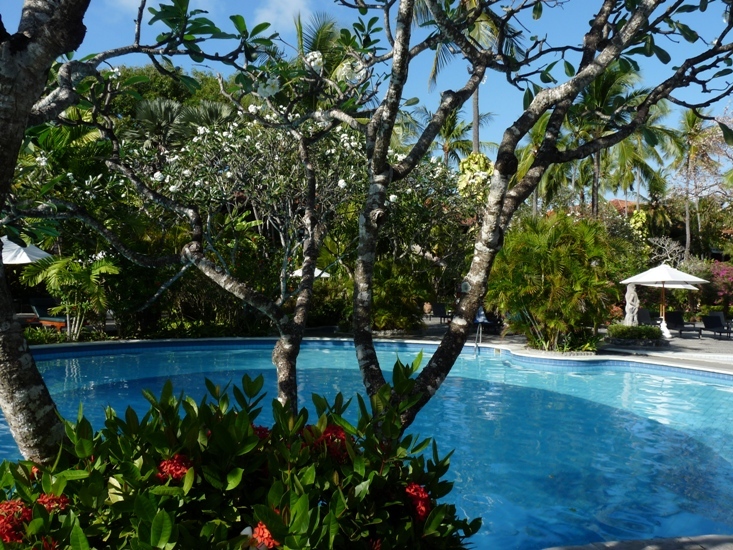 It doesn’t really matter where you choose to stay in Bali, because mostly everything is beautiful, by degrees. Everything is voluptuous and induces superlatives, so wherever you book is likely to be extremely pretty. 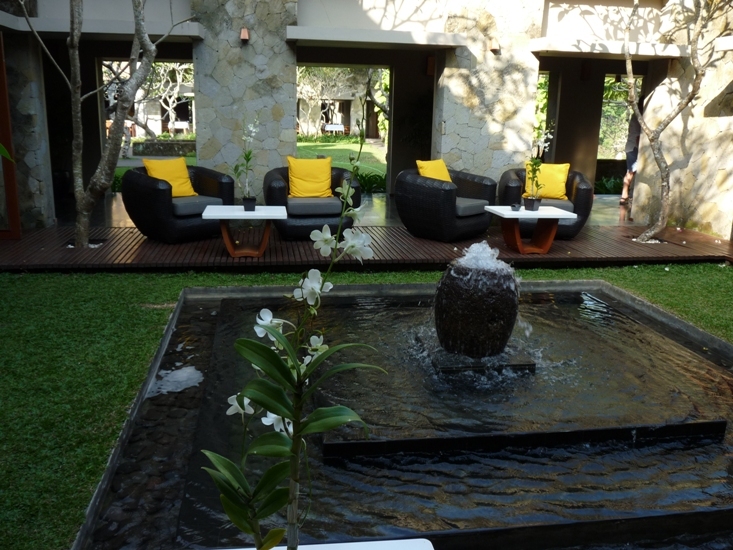 For our wedding anniversary we stayed at the Maya Ubud – a place I’ll never forget. We were so lucky to have a beautiful pool villa with an outside shower and private plunge pool, beautiful shrubs and our own entry with a huge, temple-like door. The gardens were gorgeous and extensive, with lots of colourful corners as in the pic below. 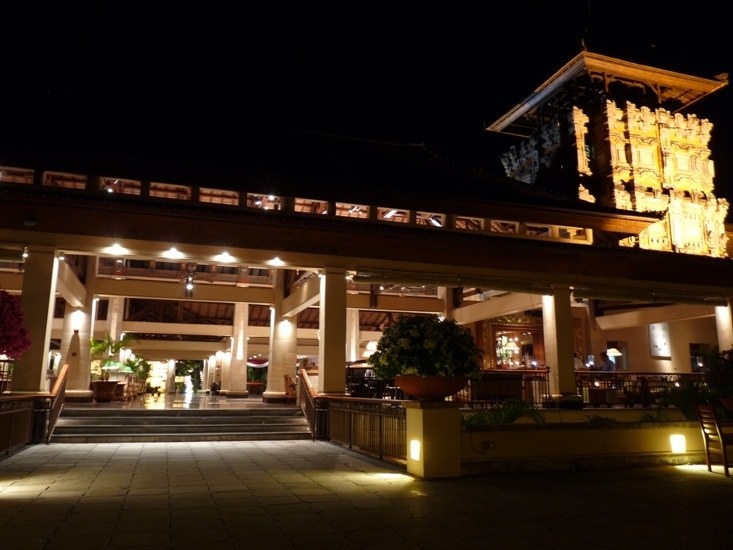 We arrived at Nusa Dua in moonlight for a special family holiday, and it was only next day that we saw the vast gateway into the dedicated tourist enclave which stood tall, imposing and intricately beguiling as we stopped at the security checkpoint. 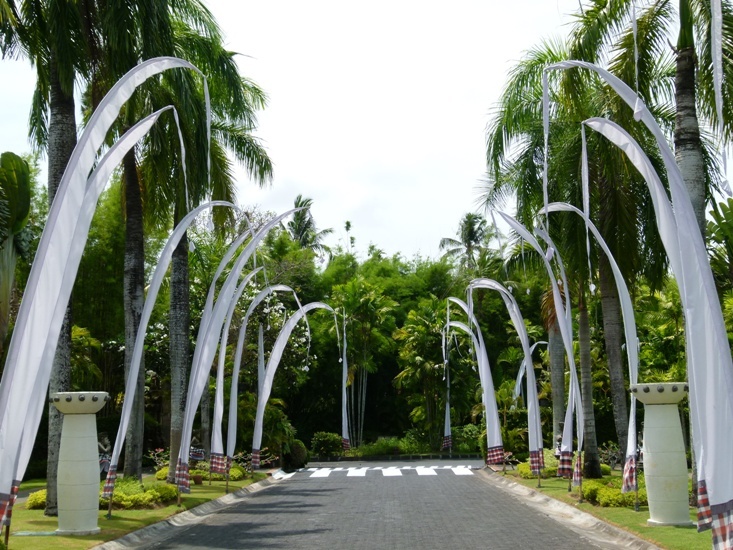 The Melia Bali appeared at the end of a long winding driveway with tall white flags . 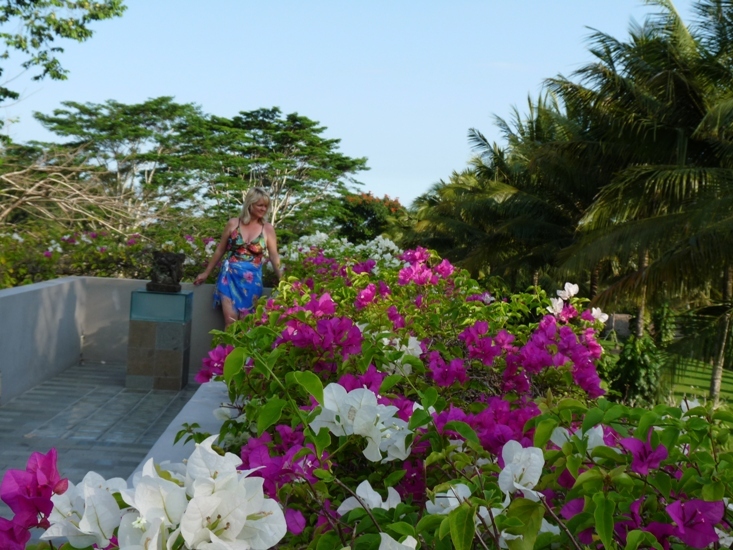 Gardens leading to the beach are filled with colourful shrubs, frangipanis, palms and bougainvillea. Rooms with four poster beds are situated around the gardens or a lagoon pool, others look over one of two pools. The garden villas with their own private pool are the ones I’d like to book another time. 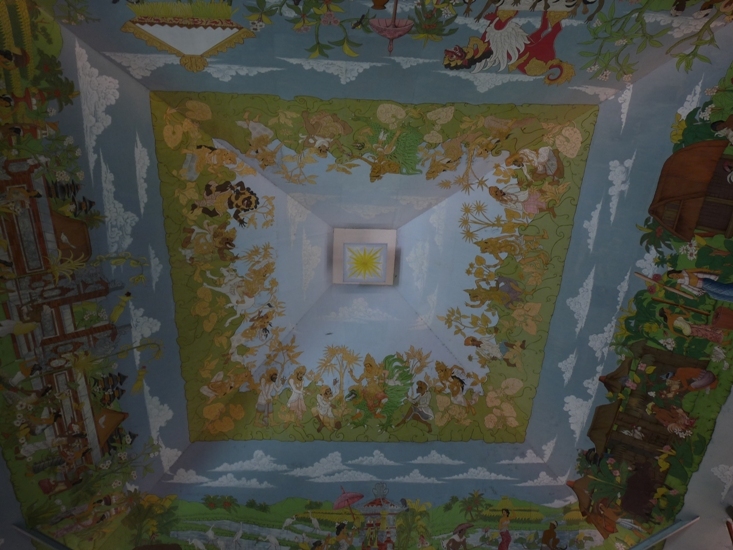 The enormous entrance to the hotel is like a tropical cathedral with an intricate painting on the ceiling. 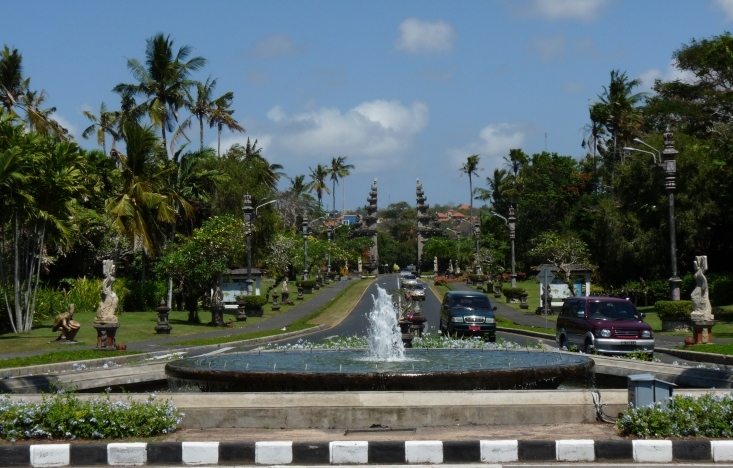 When we were backpacking in Bali 26 years ago, the whole tourist enclave of Nusa Dua was a project still in its infancy. Now it’s a tropical paradise of luxury hotels all with the most amazing gardens and a connecting walkway along the beach. Maya Ubud Resort & Spa is hugged by verdant jungle and situated between a steep river valley and swaying fields of rice. Garden Villas and Pool Villas are designed to co-exist with nature, set in their own walled, tropical gardens. There are 10 hectares of hillside garden set high above the Petanu River Valley which flows fast, some 30 metres below. Towering silk trees and jungle creepers with waxy leaves as big as satellite dishes rise catch your attention as you walk down the steep steps to the hideaway horizon pool, and the River Cafe that hugs the last bit of hillside before it plummets dramatically into the river. If you prefer, there is a lift for the fainthearted. On every corner in Bali there seems to be a temple or a shrine. Always the design is ornate. If there is a celebration or a ceremony there will be sunflower yellow or ivory white parasols, and colourful bunting. Besakih sits high on the slopes of the most sacred and revered mountain, Mount Agung. It’s the largest temple of the Hindu religion, and known as the Mother Temple. I didn’t expect such a vast complex of temples, many of which are not open to tourists. 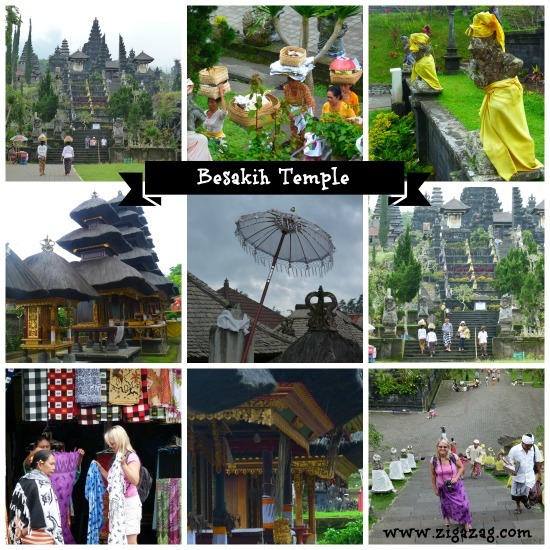 There are lots of ceremonies held at Besakih as it’s considered a public temple for all the Hindus of Indonesia. If you don’t have a sarong (men and women) you can buy them at the gates to the temple, but you can’t enter wearing shorts or trousers. 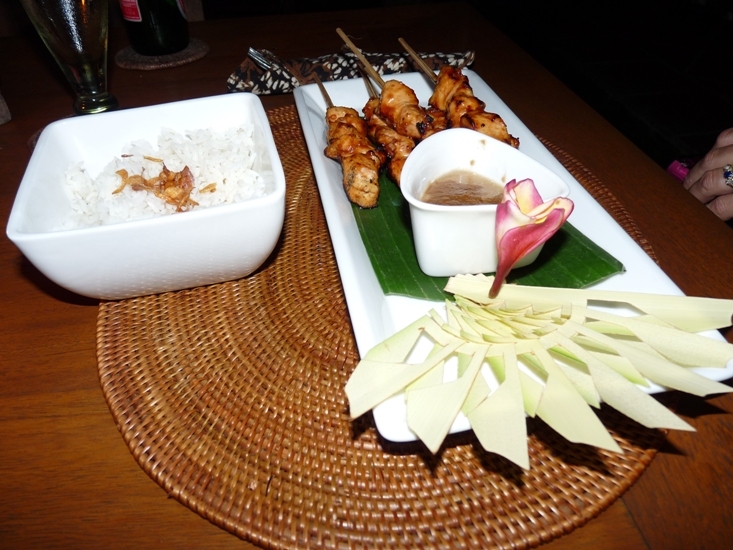 Mmm, we ate lots of Nasi Goreng and Mie Goreng (special, spicey fried rice or noodles) and Gado Gado (steamed vegetables with peanut sauce) but here you can see Tuti Satay Chicken with an array of tasty accoutrements. Strange tropical fruits like Durian, Jackfruit and Kepunding were in abundance and we may have eaten too many of the latter. Salak, a curious brown fruit which was interesting, to eat! Sirsak, green and very sweet papaya, mongasteen a small brown fruit with a fleshy core. Is crowded and hectic with an omnipresent smell of incense. There’s a glittering array of jewellery and trinkets. 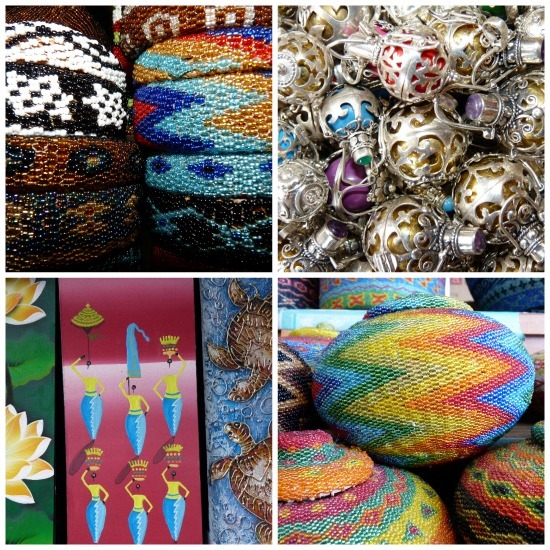 It’s like an Aladdin’s cave of treasure, along with silks, wood carvings, silver, batik, clothes and beadwork. I had to be restrained. One thing that I’ll never leave home without these days is mosquito repellant (dengue fever is prevalent in Bali) and adequate sun protection. In Bali I used Banana Boat high protection sunscreen lotion and spray which I was gifted for editorial review. I really love the spray because it’s quick and easy to use and really non greasy. The Faces lotion is great for faces, but for general use I’ve become a bit of a suntan spray fan because I find it’s a lot easier to clean off my hands quickly if I need to get out my camera quickly to take a photo. Anyway, I’m hooked and I’ll be buying it in the future. If you’d like to WIN some Banana Boat lotion you could pop over to my other blog where from 10/10/2013 – 9/11/2013 I’m hosting a mega beauty giveaway with 17 products up for grabs. Pop over and have a look – Lifestyle Fifty. When I’m in the sun I always use sun protection. 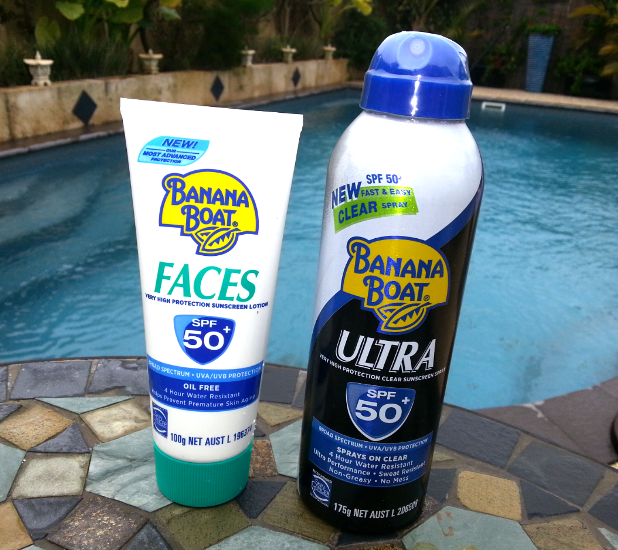 Love Banana Boat products. At the end of the day, Bali is for lovers. 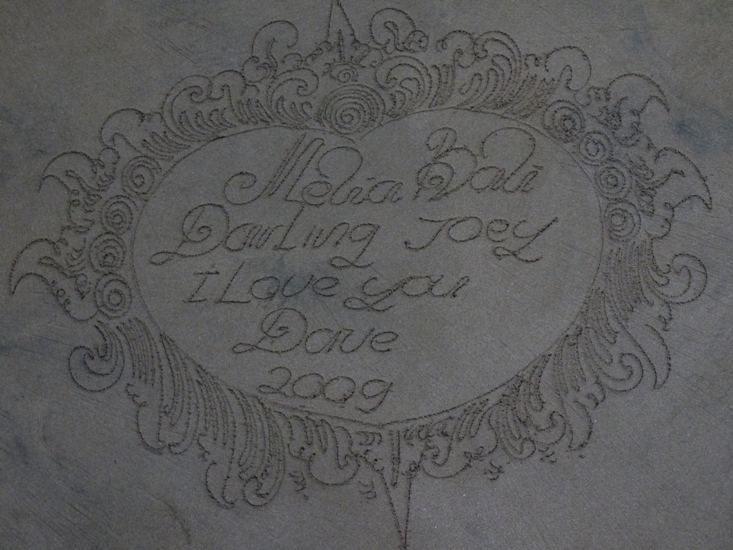 When we visited for our 22nd anniversary a few years ago, Dave had a love message written for me in the sand at The Melia Bali, and it made me burst into tears! The pictures and stories are amazing of so many areas of Bali. I definitely want to visit Bali. How long were you there to visit so many places? Jo, you have a beautiful daughter and a very artistic husband to create such a fantastic love note in the sand. Thanks for your compliments, Neva! We’ve been to Bali on two occasions, and my daughter’s been on her own as well, so I had lots to draw from and pulled it all together. Even though it was a mega post, I kept thinking how much there was left out! Wow! I love your list! 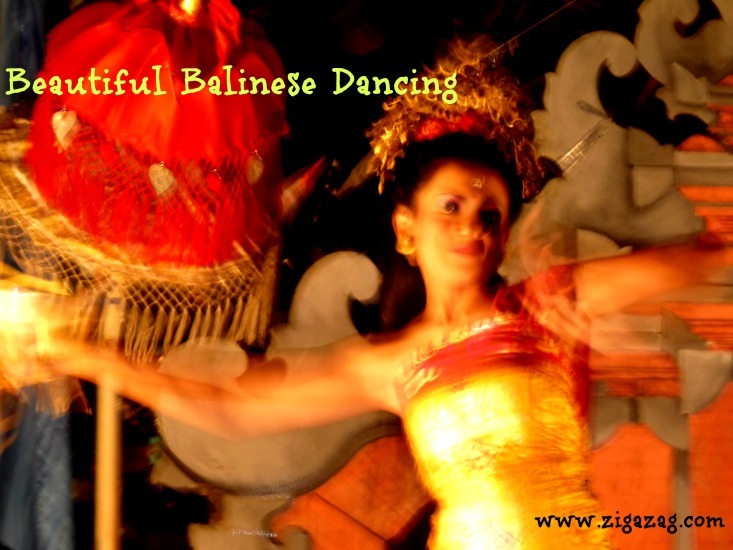 I have been to a fair few places in Asia, but never to Bali! This makes me really, really want to go. What a gorgeous place!! Thanks Lucy! I’m sure you’ll love it too once you visit. It’s captivating. 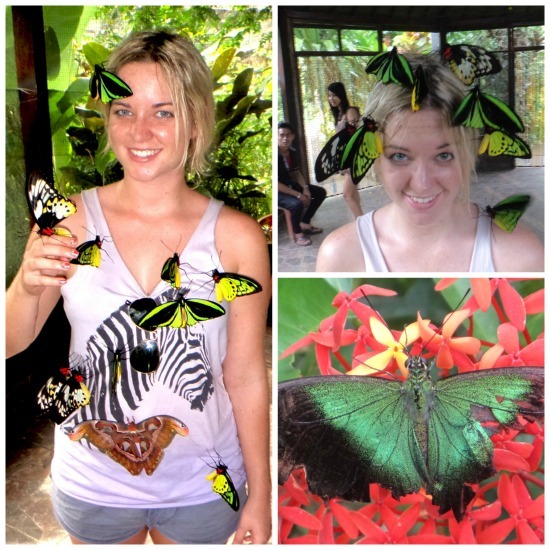 Oh my gosh, Johanna, so much to do in Bali! Each one more fun and adventurous that the one before. Awww, that’s such a beautiful love note. You’ve got a very creative and expressive husband. A beautiful way to end your post. Almost everything you’ve suggested sounds great – especially visiting a Bali spa. Bali feels so far away from Canada that I can only imagine going as part of a long trip to Asia. 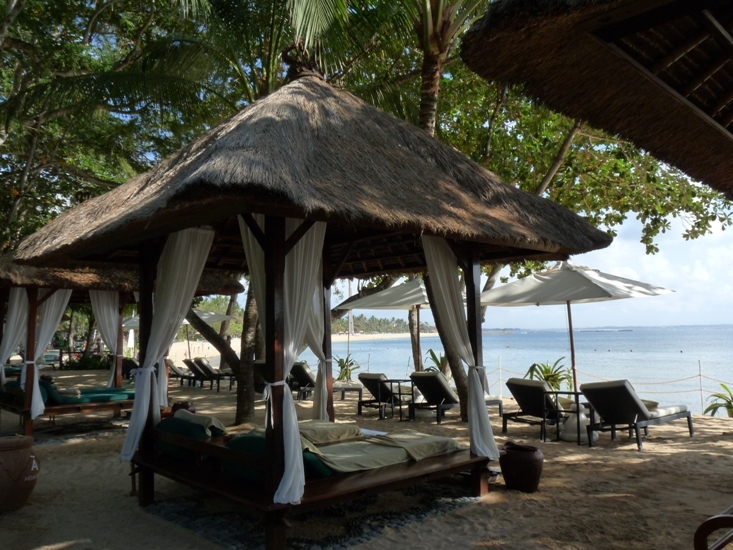 Until now, the allure of Bali for me has mostly been its beauty, beaches and relaxation. But now I’ve got even more reasons to want to go there. Love your 29 suggestions! Thanks Noel! And yes, a monkey driving a motorbike was probably the funniest photo! Thanks Marcia – yes it’s a fabulous island for fun and adventure as well as culture and R and R. Ahh, He Himself, he’s a romantic at heart! What an excellent post, Jo. I love all the activities you listed here and all the pictures. Bali has always been that picture perfect paradise. How lucky for you to be that close. I’m not even sure where to start if I ever get there. The spa, sunset dinner and elephant ride look so appealing though. We haven’t been to Bali for some years ….. but Maya Ubud looks absolutely amazing and it looks like you had a wonderful holiday Jo. If anyone was thinking of going to Bali I think you have won them over with your post. I know Rae, the health risks are always a bit of a worry, and even if you do make sure to do everything right sometimes an evil bug will still slip past the defences. For me it’s generally worth the risk, but then it’s not for everyone. That message in the sand is so sweet and beautifully rendered. No wonder you burst into tears. I went to Bali 16 years ago, and all we did was sit on the beach because we needed a vacation from our whirlwind SE Asia vacation. Now, I can see that we missed so much and it truly merits a return trip. The outdoor wooden tub looks so relaxing, and the monkey on the scooter is hilarious. Most of all, thanks for the info on the kepundung fruit. I have never tried it but just picked some up at the wet market. I now know not to eat too many at once. Hah, yes, Kepundung fruit – be wary 🙂 But they are rather nice all the same 🙂 I’m so chuffed that you found more things you’d like to do in Bali, although it is very easy to sit on the beach at Bali and then head out for a few sunset beers and something to eat at the end of the day 🙂 Let’s hope you manage a return visit soon. OH my goodness!! Absolutely heavenly! I never considered going to Bali, now I don’t know how I will get it out of my mind. Yes, Bali has a tendency to get stuck in your mind, Mary! I hope you maybe get there one day. Thanks for popping by today. This is the most comprehensive, almost unbelievable, never ending list of things to do that I have ever seen! Bali is certainly on our wish list, and we will be sure to keep this post within reach. So much to do, so little time, hey! @cheeky travel girl! 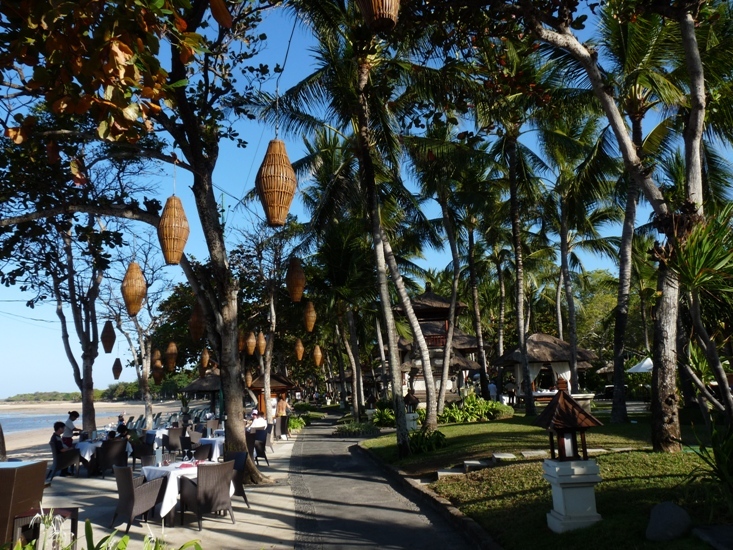 do not try “seawalker tour” at sanur beach Johanna? I’m not sure if you mean “Did I not try a seawalker tour” or do not try one 😉 Anyway, no I didn’t try one. 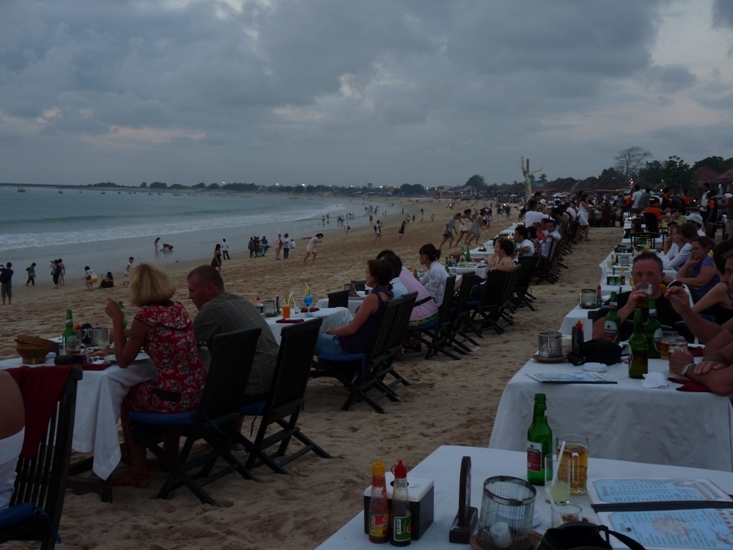 Dear Johanna, You are really good described about the things to do in Bali. Also have many things what can to do in Bali (because I 5 years live and work in Bali:)) , I recommend – Aqua Star (underwater scooter), Seawalker, Fly fish and etc. 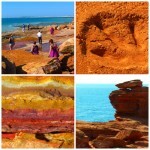 More activities and interesting place, you can find in my website. Warmest regards , Andre Polovini. 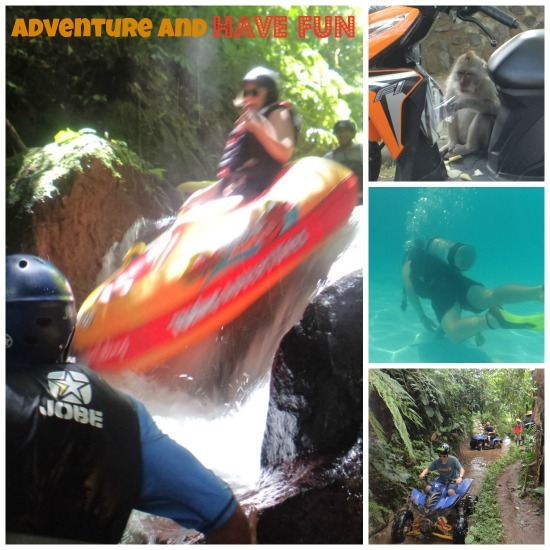 to complement your journey, maybe you can try some other adventure/ activities in Bali like ride ATV/ Quad Bike, play paintball, watersport and many more…. interesting posts. I really like. you summarize everything that is in Bali with very complete. I really like the time to read it. I so have a reference for holiday in Bali at the next opportunity. nice post. thanks.